A satisfying and refreshing milkshake is perfect year-round and easy to prepare at home with the proper equipment and the right recipe. A major step involved in preparing the milkshake at home is to get the ratio of milk to ice cream correct. Once this is achieved, add in the desired flavoring ingredients. A common mistake with milkshakes is using far too much milk. A standard amount noted in a recipe is in the region of 2 or 3 ounces. Getting heavy handed with the milk can result in a milkshake that is quite runny. Also, avoid adding in ice to a shake. Ice is likely to dilute the richness of the ice cream and milk combination. Limit the use of ice to making smoothies. Make sure the glass is chilled before pouring in the milkshake, so place in the freezer until the desired chill is achieved. Ice cream is the most critical ingredient used in a milkshake and helps achieve the proper texture and flavor. With only a few components in a shake recipe, it certainly benefits to rely on the highest quality ingredients. Avoid the cheap or budget ice creams that you wouldn’t eat plain. Use ice cream that is soft but not so soft that it becomes runny. Ice cream texture is key because if left too hard there is a high chance of adding in an excessive amount of milk. This isn’t desirable as it will dilute the thickness of the ice cream. 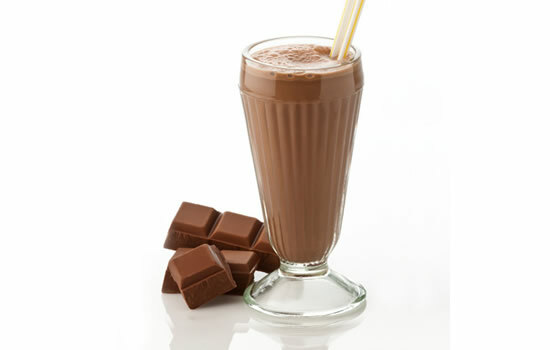 Even though it is possible to use any type of milk in a shake, the preferred choice is usually whole milk. The greater fat content means a rich and thick texture is possible. Use milk that you like the taste of. If preferred, the regular cow’s milk can be replaced with a vegan variety like soy milk. Avoid adding ice to the shake as this thins out and make it quite watery. If preferred a thinner consistency, try to use more milk until the preferred thickness is achieved. A trail and error process might need to be used to achieve the right taste and flavor. A thin flavoring like syrup or juice can benefit with ½ cup to start — more can be added if desired. A thick finishing produce includes bananas or strawberries. Gradually increase the milk and flavor until the desired taste is reached. Make sure to taste the milkshake before pouring from the countertop blender. A shake is easily fixed while still in the blender. A shake that appears too thin can benefit from extra flavorings or ice cream, while a shake that is too thick often needs more milk. Add in the extra ingredient and give a quick pulse to improve or tweak the finished product.